Hindustan Aeronautics Limited is an Indian state-owned aerospace and defence company based in Bangalore, Karnataka. It is governed under the management of the Indian Ministry of Defence. was incorporated on 23 Dec 1940 at Bangalore by Shri Walchand Hirachand a farsighted visionary in association with the Government of Mysore. 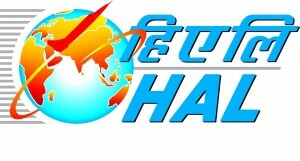 HAL is involved in the operations of the aerospace industry. These include manufacturing and assembly of aircraft, navigation and related communication equipment and airports operation.